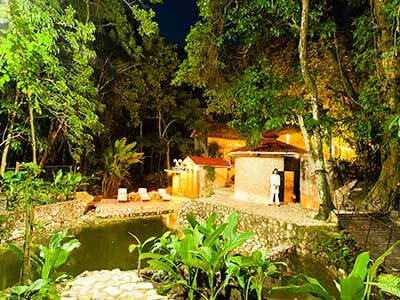 Mision Palenque is in the northwest area of Chiapas and is just 40 miles from the beautiful Aqua Azul Waterfalls. 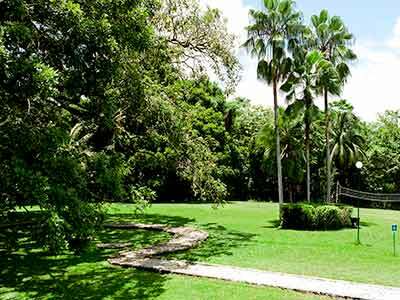 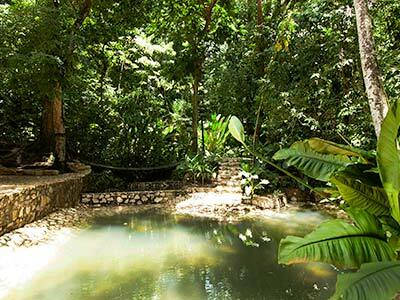 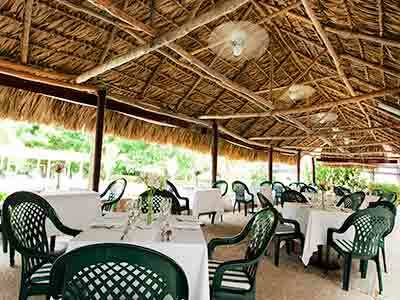 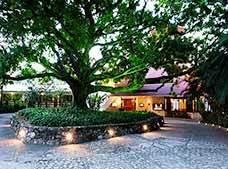 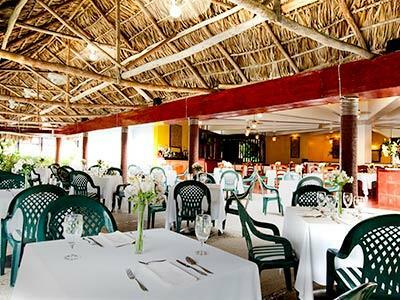 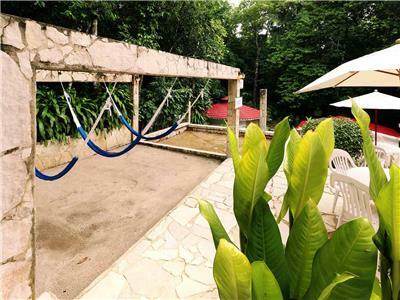 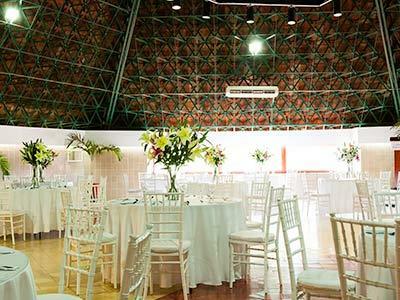 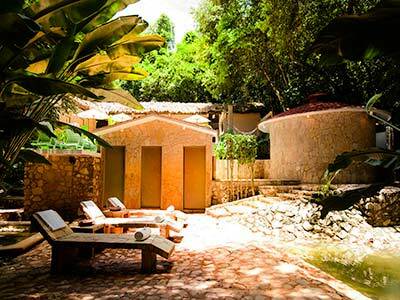 This Palenque property is surrounded by lush rainforest and is close to the archeological ruins of a sacred Mayan city. 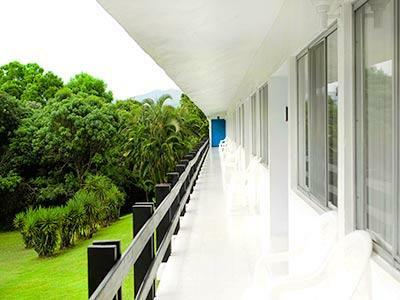 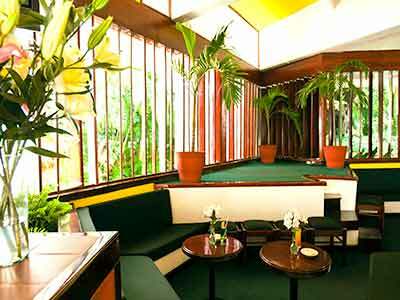 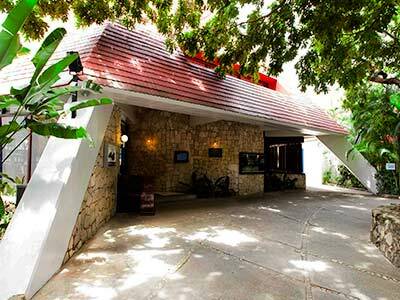 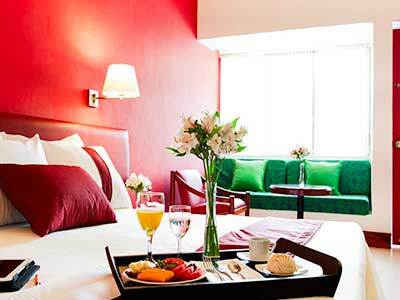 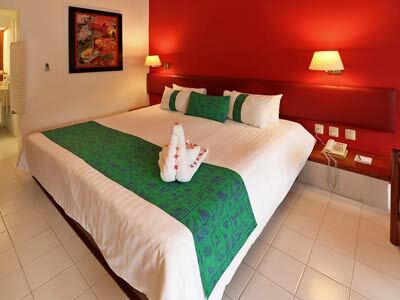 The hotel has three two-story buildings that feature modern architecture and convenient facilities, and each beautifully furnished room looks out over the gardens and jungle. 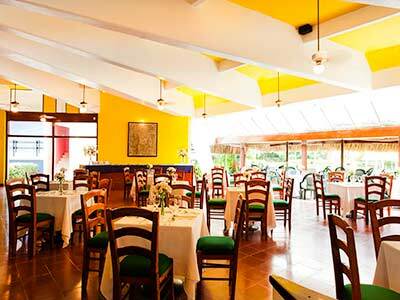 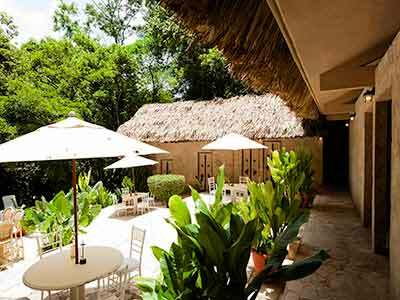 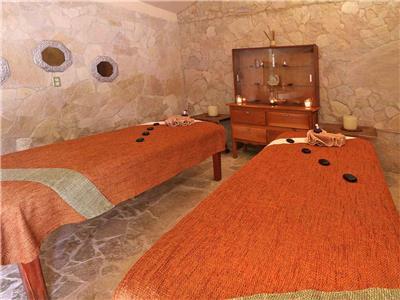 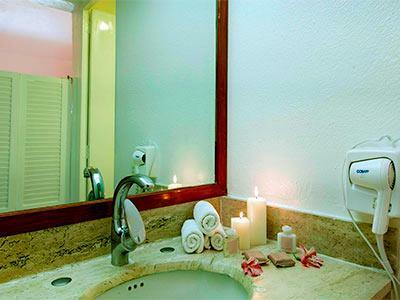 Mision Palenque offers a variety of services and facilities that make your stay amidst nature convenient and comfortable. 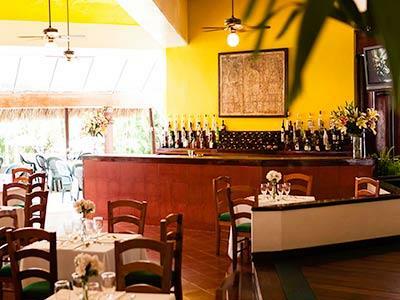 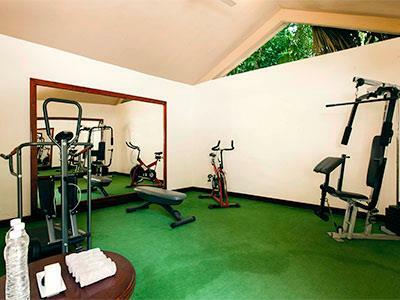 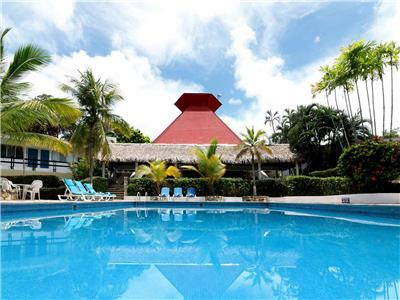 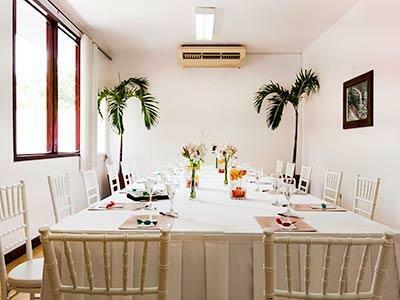 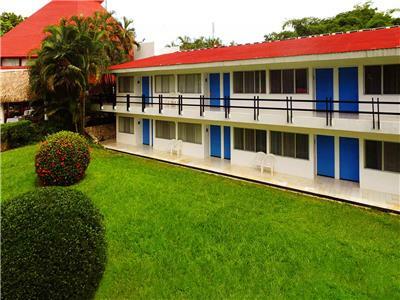 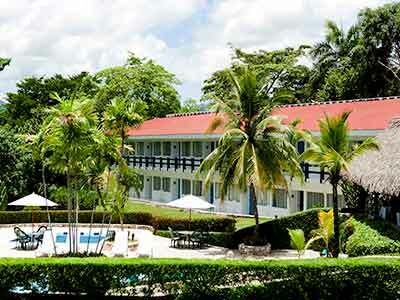 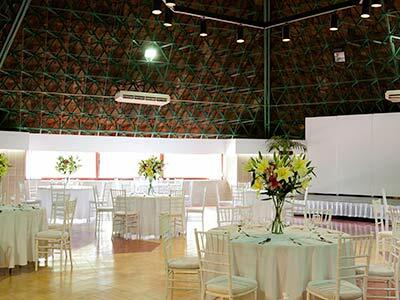 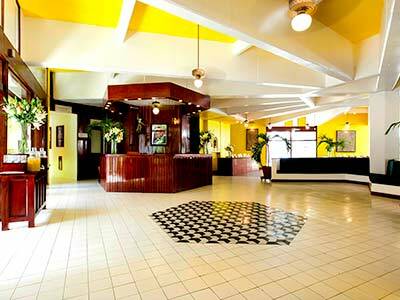 This quiet hotel is located near the city and popular tourist attractions. 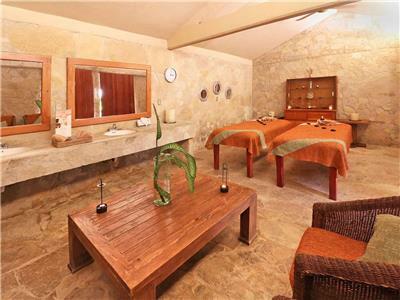 These comfortably furnished rooms feature rustic details. 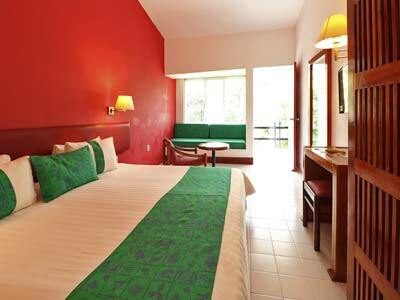 Each room comes with air conditioning and large windows that offer spectacular views.